My Razer Abyssus seems to have tracking issues at very high swiping speed. Is there a fix for that? A firmware update has been developed to address maximum tracking speed performance that occurs on a limited number of Razer Abyssus 2000 for a small group of users with specific use cases. If you have purchased your Razer Abyssus online before 2nd July 2014, and you think you have a tracking issue, you may obtain a firmware update through Razer Customer Support by submitting a ticket here. My Razer mouse is out of warranty and is not working. Is there any way it can be repaired? Razer products are designed to work well beyond when the warranty has expired. However, If you feel your mouse is having issues we first suggest trying the mouse on another computer to insure the issue is with the mouse and not something within the computer system. If you have narrowed the issue to the mouse itself, there is not really a cost effective repair center that would be able to assist you. Razer does make available some basic external spare parts at http://www.razerzone.com/store/gaming-accessories, but we are unable to supply any internal parts or repair guides. You can clean the mouse sensor using a Q-Tip lightly coated with rubbing alcohol and then letting the sensor dry for five(5) minutes before attempting to use it. It is rare, but a light shot of air from a can of compressed air can sometime free debris that may be causing an issue. Product warranty lengths differ depending on your Razer product. For example, mice have a two(2) year limited warranty, while keyboards have a one(1) year limited warranty. Please see full details for warranty lengths: here. My mouse cursor is not moving. Please try cleaning the sensor using a Q-Tip lightly coated with rubbing alcohol. Let the sensor dry for 5 minutes and try the mouse again. If it still doesn't work, your sensor may have been improperly calibrated when setting up surface calibration. With the mouse plugged in and flat on your mouse mat, hold down the left click, right click, and mouse wheel button for ten(10) seconds to reset surface calibration. If this does not work, please contact our Support Team: here. 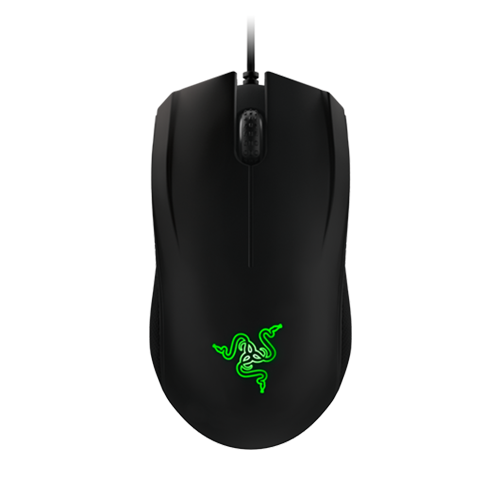 How can I test my Razer Mouse to be sure that the buttons are assigned and working properly? Open the Customizer and assign button 3 to the number 3 on the keyboard, 4 to 4, etc. Open Notepad in Windows and click the corresponding buttons to test if they've been binded correctly. If the bindings are not working with a specific game, please contact the game publisher. If it does not work at all, please contact our Customer Support team. How do I change the language of Configurator? The language selection is based on the driver version installed on the computer. There is no option in the Customizer. To correct this issue, uninstall the software and download the appropriate drivers from our website. How do I clean and maintain my Razer Mouse for optimum performance? Before attempting any type of cleaning on your mouse, please unplug it from your computer. You can clean the sensor using a Q-Tip lightly coated with rubbing alcohol. Let the sensor dry for 5 minutes before attempting to use it. We cannot say with certainty what type of dirt and debris may be on your product, or how certain cleaning products may react with it, but we have had good luck cleaning Razer products using commonly available monitor cleaning wipes. To clean the body of your Razer mouse please take a monitor wipe and use gentle wiping motions. Do not scrub the surface of your Razer mouse. To get the ultimate experience in movement and control, we highly recommend a premium mouse surface from Razer. Some other surfaces can cause the mouse feet to wear excessively and rapidly. For a complete list of our current spare parts and accessories, please click here. If the item you need isn't listed, please don't hesitate to contact our Customer Support team here. How does Razer measure the polling rate(ultrapolling) and response rates of their keyboards and mice? Razer uses digital scopes and USB analyzers connected directly to the motherboard to obtain real and accurate measurements of polling rates. I cannot find my Razer mouse or keyboard in Windows Device Manager under "Mice and other pointing Devices." Razer mice and keyboards are not typically listed under the "Mice and other pointing Devices" section of the Windows Device Manager. They should be listed under "Human Interface Devices." I cannot get the On-The-Fly sensitivity function to work on my Razer mouse. How do I set it? If a button has been assigned to "On-The-Fly Sensitivity," pressing and holding the assigned button down while moving the scroll wheel up or down will produce a bar on the lower right hand corner of your screen allowing you to adjust your sensitivity settings. We are sorry if there are any delays in processing your order. The product may be out of stock or the order may be under protection/fraud review. Please don't hesitate to check your order status at the RazerStore page by entering your information at the Order Status page. Please try cleaning the sensor lens with a Q-tip and some rubbing alcohol and let it dry for five(5) minutes and try the mouse again. If it still doesn't work, contact us here or call 1-888-697-2037. We recommend plugging your Razer product directly into your PC. KVM switches are known to cause interruptions in communications between devices and PCs. If your Razer product works when plugged directly into the computer, then it is operating correctly and the issue is most likely due to the KVM switch. My Razer product does not work at startup after a cold start, what should I do? Make sure that USB ports are not in hibernation mode. Please go to your Windows "Device Manager" and click the + sign next to Universal Serial Bus Controllers. Click on any "Root Hub" and select "Properties." Click the Power Management tab and ensure that "Allow computer to turn off this device to save power" and proceed to do this under each Root Hub. Also, from the Control Panel and Power Options, select the Hibernation Tab and deselect "Enable hibernate support." What are some examples of a "Proof of Purchase" to provide when initiating an RMA? What buttons can I register for Macros on Razer mice? You can set macros to reflect the majority of keyboard keys except the Windows keys and enhanced function keys. Mouse button presses are not programmable to macros. When I use fast-user switching to change between Windows accounts, my configuration of my Razer product is no longer active. This is a general problem with fast-user switching. The configuration of the product is unique and set for the logged in user; once you switch users you will have to re-configure the product. There is no other workaround at this time. Will my Razer USB PC product work on a console (Xbox360, PS3, etc)? It has USB ports.